After gaining a PhD in tree physiology, Dr Martin Dobson worked in Forest Research (part of the Forestry Commission) for nine years before joining the Arboricultural Advisory Service. He started his own practice as an arboricultural consultant in 1997 and since has regularly been instructed as an expert witness. He has been an examiner for the ABC/Royal Forestry Society (Level 6) Professional Diploma in Aboriculture for 11 years. This is the premier professional qualification in arboriculture. 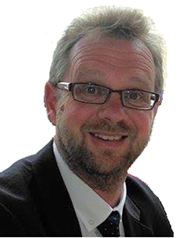 Martin is a Member of the Expert Witness Institute and is a Fellow and Registered Consultant of the Arboricultural Association. Martin has a wealth of experience in dealing with legal cases and has completed hundreds of expert witness reports and represented clients in the County Court, High Court and in mediations. With a background in research, Martin has many scientific publications to his name and in-depth knowledge of a wide range of arboricultural issues. Dr. Andy Moffat studied for a first degree in Geography and Soil Science at the University of Reading. He then undertook a PhD at University College London and Rothamsted Experimental Station. He was employed in the Soil Survey of England and Wales between 1979 and 1985 before joining the Forestry Commission Research Division. He was responsible for research on land reclamation and green infrastructure, soil sustainability and intensive forest monitoring. Between 1997 and 2009, he was Head of Environmental Research Branch and then of the Environmental and Human Sciences Division before heading up the Centre for Forestry and Climate Change. In 2005 he was awarded the DSc and in 2007 he was granted the title of Visiting Professor at the University of Reading. Andy also has significant experience in Urban Forestry and arboricultural research and co-authored the first practical guidance on ‘Urban Forestry Practice’ in Britain and ‘Benefits of Green Infrastructure’ report for Defra (2010). He holds Chartered Consultancy status with the Institute of Chartered Foresters. He has been working closely with Martin Dobson as an arboricultural associate since leaving the Forestry Commission in March 2013. He also works in his own right as an environmental consultant.